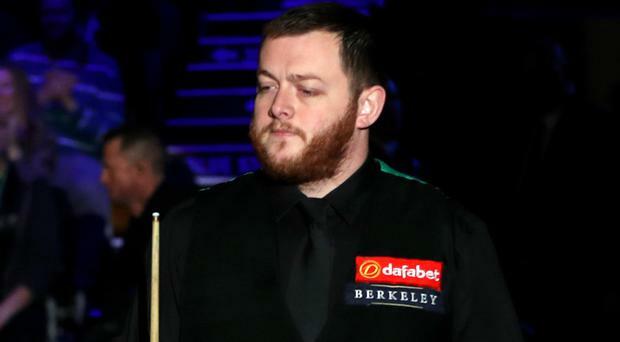 Mark Allen had to show guile and grit to get the better of 2015 World champion Stuart Bingham in the quarter-finals of the Players Championship in Preston last night. Allen got his head in front in what was a nip and tuck battle, taking a 5-4 lead in the first to six frames encounter before edging a 6-4 triumph. The Ulsterman will face the winner of this afternoon's clash between Ronnie O'Sullivan and John Higgins in tomorrow night's semi-final ahead of Sunday's showdown for the £125,000 top prize. Neil Robertson had a 6-4 win over Mark Williams - then revealed he is on red alert as his partner could go into labour with their new baby at any moment. Robertson and his fiancé Mille are due to have their second child on March 20. And the Aussie hopes the baby will not come early while he is battling for the title. He faces Judd Trump in the semi-finals at the Guild Hall tonight. "If the baby comes early then I will have to dash off home, maybe Judd is hoping that happens!" said the 37-year-old. "It could happen at any point and I have to prepare myself for that. The fortunate thing is that I'm in the UK and only a few hours drive away. Hopefully the baby will come when it is due." Amateur James Cahill has dumped Ronnie O'Sullivan out of the Snooker World Championships in arguably the biggest shock of the sport's history.